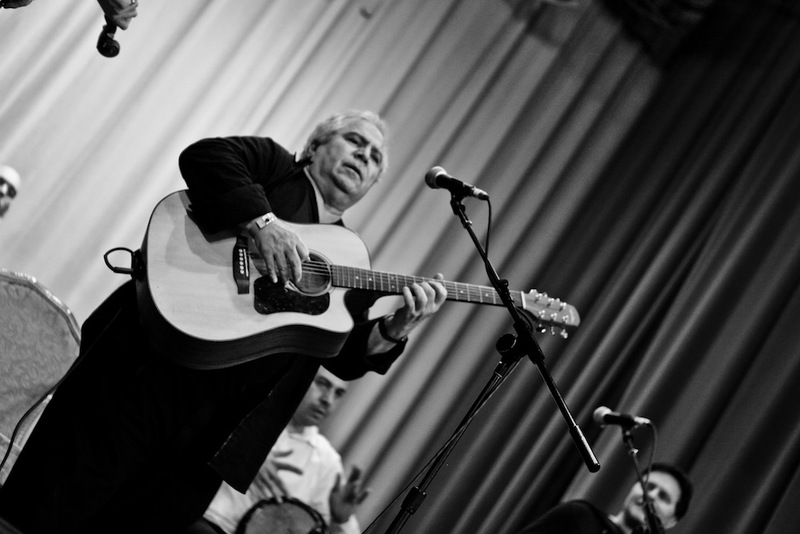 Avram Pengas is a master guitarist and bouzouki player in the Greek/Middle Eastern tradition. Together with his band “The Noga Group” (Noga means glow in Hebrew), he plays to a regular crowd of Israelis, restauranteurs and the occasional bellydancer in downtown manhattan. He has released numerous albums and his latest “Santorini ” pulsates with Greek and Turkish rhythms, Israeli pop, sinuous Arabic melodies, Latin beats, Armenian dance sounds- all done up in a fresh, crisp production. Pengas’ extreme virtuosity has garnered him accolades from among the best in the music community. Israeli guitarist Yosi Piamenta describes Pengas as “a guitarist that I every time admire to watch him play”. We are happy to announce that for the first time in many years, Pengas and Piamenta will share the stage during the 4th Sephardic Music Festival Dec 25, 2008. They will scintillate and titillate the crowd with traditional Sephardic classics, modern Sephardic classics and other Sephardic classics. What a great treat for lovers of Sephardic music!